Click the button below to add the Zmodo 22X High Speed PTZ Security Camera with IR Nightvision to your wish list. 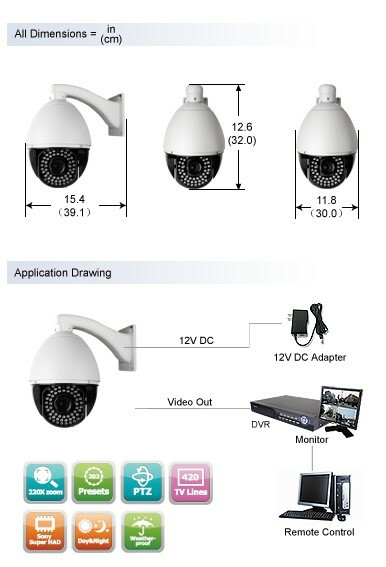 The Pan Tilt Zoom or PTZ camera most popular feature is its customized menu function which enables easy control on multiplied functions. It performs amazing in airports, banks, offices, schools, stores, factories and public places. To meet the increasingly professional use, it has an advanced speed doom, 22X optical zoom and 10X digital zoom. Most PTZ cameras move quite slow, and can be annoying to wait for them to get where you want them, and by then the perpertrator is long gone. You will not run into that same problem with this PTZ camera, as it's made for speed! See what you need to see when you need to see it. 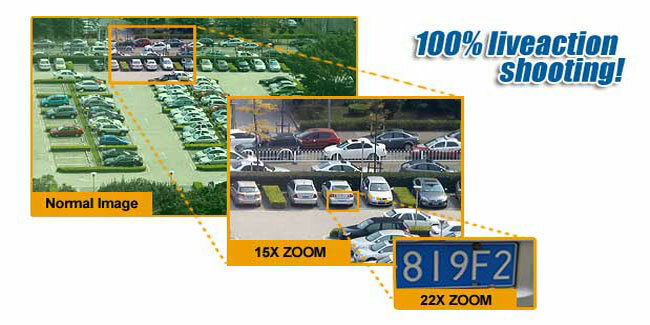 22X Optical Zoom - Allows you to zoom in close enough to see even license plates! Speed Zoom - Zoom in to the action quick before it gets away! Large Camera - Deter mischievous behavior with just the looks of this camera! Auto cruise tracking following set points. Does not follow people automatically. 360 DEGREE DAY&NIGHT OVERVIEW-ONE CAMERA IS ALL YOU NEED! See in all directions and keep an eye on the people and places you care about most. Full 360 degree camera pan with continuous movement, auto flip 180° of tilt rotation. Nothing escapes from your watching.